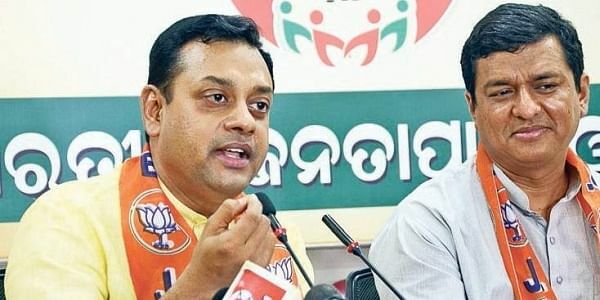 The Delhi High Court today refused to interfere with the appointment of BJP national spokesperson Sambit Patra as an independent director on the board of the Oil and Natural Gas Corporation. NEW DELHI: The Delhi High Court today refused to interfere with the appointment of BJP national spokesperson Sambit Patra as an independent director on the board of the Oil and Natural Gas Corporation (ONGC). A bench of Acting Chief Justice Gita Mittal and Justice C Hari Shankar refused to entertain the PIL which also sought cancellation of the appointment of Shashi Shanker as ONGC Chairman and Managing Director (CMD). The NGO, Energy Watchdog, had earlier questioned the eligibility of Patra to be appointed as an independent director and alleged that proper procedure was not followed for appointing him. Senior advocate Jayant Bhushan, appearing for the NGO, had also said that the BJP spokesperson was a doctor and ONGC has nothing to do in the field of medicine to appoint him on its Board. The Centre had defended the appointment, saying Patra was successfully running an NGO for the downtrodden which shows his management skills and hence was eligible for the post. The NGO's lawyer had also argued that appointing Patra to the post for a remuneration of around Rs 23 lakh per year amounted to grant of state largesse to a private person. Shanker's appointment as ONGC CMD was opposed on the ground that he was suspended in February 2015 for six months in connection with a probe into the award of a contract by the PSU. It was also argued by the NGO that the Central Vigilance Commission (CVC) did not appear to have any record of the suspension, as per its response to a RTI query.